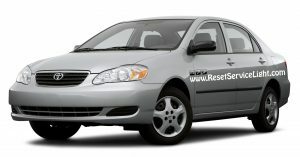 Do it yourself, replace the spark plugs on your Toyota Corolla, the model produced between the years 2003 and 2008. To do the replacement you will require four new spark plugs from your local auto parts store, a 10 mm socket wrench, a spark plug socket wrench and a flat headed screwdriver. The repair process is simple and it will probably take you about 25 minutes, if you follow the simple steps we show you next. In the beginning, open the hood of your car and unplug the negative cable of the battery in order to avoid unwanted electrical accidents. Next, you will have to detach the engine cover. You can perform this task by removing the two bolts that secure it, using the 10 mm socket wrench and the two plastic pins using the flat headed screwdriver. We marked their position with red and blue arrows in the image below. Then the cover will lift off without any effort. 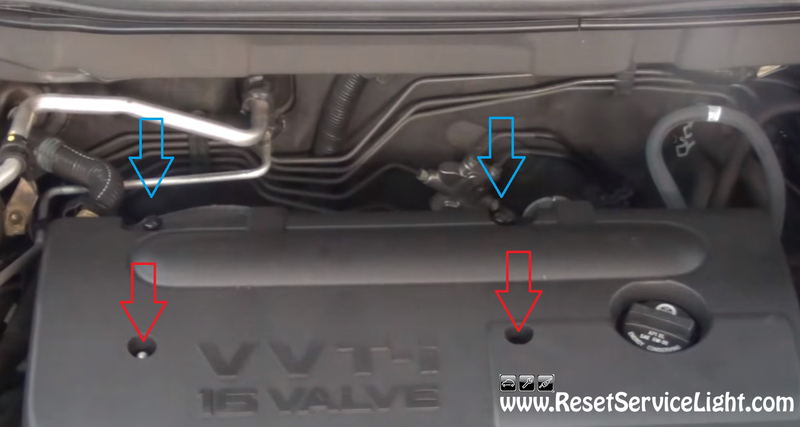 You will gain access to the ignition coils, located above the engine, that you will have to remove next. There are four 10 mm bolts that secure the coils. 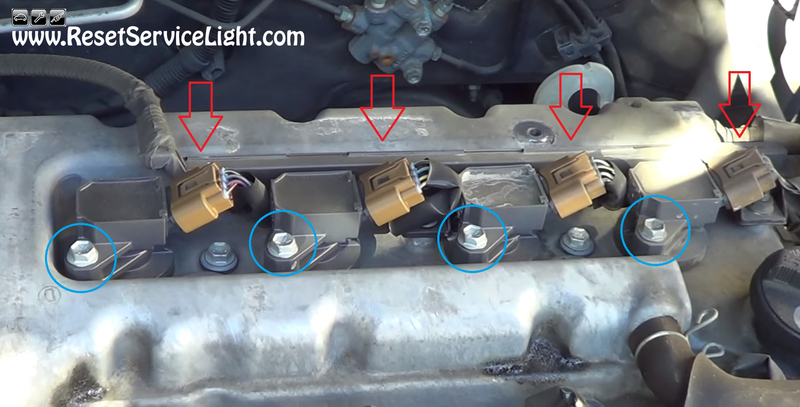 Loosen them up using the socket wrench and then unplug their electrical harnesses (all marked in the picture below). The cables can be removed very easily, by pressing their safety tabs with your fingers or using a flat blade screwdriver. Now, using the spark plug socket wrench you can remove the old spark plugs and install new ones. After you do it, install the ignition coils back, secure them with the four bolts and connect their harnesses. Reinstall the engine cover above, reconnect the negative cable on the battery and that’s it. This is all you have to do if you need to replace the spark plugs on your Toyota Corolla made between the years 2003 and 2008.